The machine is designed with high efficiency with low power consumption; it will seal the containers with the same speed with lower power consumption which will save on the power costs. - Easy & simple to use. All controls are installed on sealing head, which is easy to access for the operator. 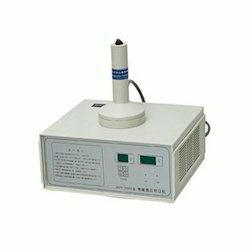 We offer Manual Induction Sealing Machine to our clients. 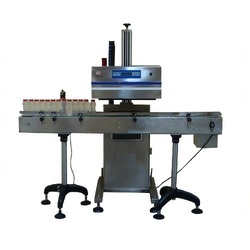 Induction sealing machines offered by us find application in meeting the sealing needs of Pharmaceutical Products, Food Products and Pesticide Products. Further, these Sealing Machines are specially designed to seal on-line Induction wads, seals on bottles.